Santa Claus came to Santa Villa at Peace Park in West Alexandria this weekend, as part of the annual Christmas in the Village celebration. Held on Sunday, Dec. 2, the event invited community members out to visit different businesses and into Santa Villa to visit the jolly old elf himself. 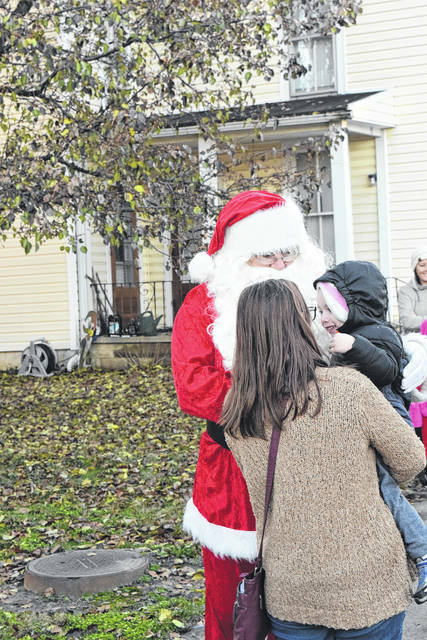 WEST ALEXANDRIA — Santa Claus came to Santa Villa at Peace Park in West Alexandria this weekend, as part of the annual Christmas in the Village celebration. Held on Sunday, Dec. 2, the event invited community members out to visit different businesses and into Santa Villa to visit the jolly old elf himself. Several businesses uptown were open for the event. After picking up a punch card at the library, residents were to visit all the businesses listed and receive an entry for a chance to win a cash prize. There were also door prizes at the library. Door Prize Drawings took place at 7 p.m. inside the Town Hall. Most importantly, Santa came to town from the North Pole. Each child who visits Santa receives their choice of a toy, candy cane, stuffed animal, book or video, cookie, and a pair of gloves – all for free. 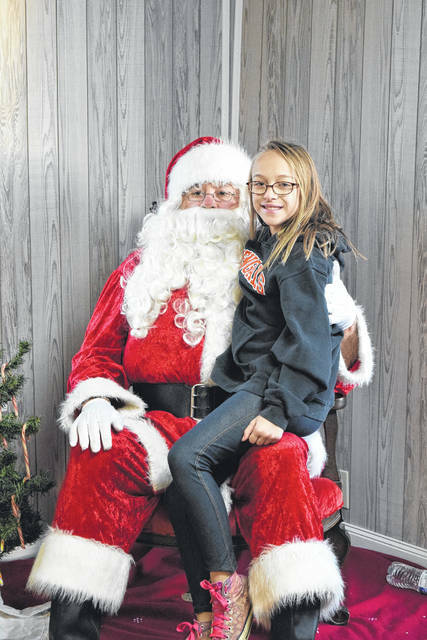 Families were encouraged to bring their cameras and get family photos with Santa. The event is put on by the Celebration Committee, who earns the money through different fundraisers, including: pork chop dinners, 4th of July Celebration, other dinners, and other fundraising events. This year, several organizations in the community contributed to the collection of gifts and money. The businesses even had barrels uptown to collect toys, which Mayor Carol Lunsford said was a huge help. One committee member went to Wilson Sporting Goods and got 100 footballs donated. “It is really important for us to work together as a community spirit and help children. In this day and age, there are a lot of children whose mom and dad just can’t do for them. They can come here — they’re really near and dear to my heart,” Lunsford said. Santa will be back in the Villa on Friday, Dec. 7 and Saturday, Dec. 8 from 5-7 p.m. This is the only other time Santa Villa will be open until Oktoberfest. 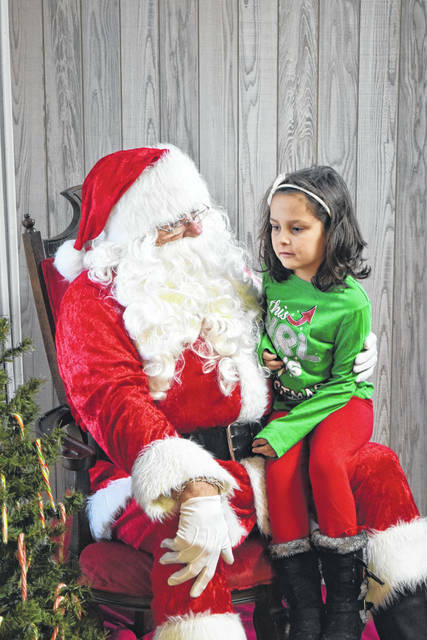 https://www.registerherald.com/wp-content/uploads/sites/41/2018/12/web1_WA4.jpgSanta Claus came to Santa Villa at Peace Park in West Alexandria this weekend, as part of the annual Christmas in the Village celebration. Held on Sunday, Dec. 2, the event invited community members out to visit different businesses and into Santa Villa to visit the jolly old elf himself.